Just got these - you’re right about the two raised pads in the platform. Not sure about solving the rocking as I’m going from Speedplay Zeros to Look. The issues I had with Look Keo carbon titanium pedals is they would never flip up making getting into your pedal PITA. Plus they had the dreaded Look creak. Went Dura Ace and while heavier. No creak and the pedal is always in the correct position to clip back in. They also have very smooth bearings. Corrected. Yes I did mean PITA. The issues I had with Look Keo carbon titanium pedals is they would never flip up making getting into your pedal PETA. Plus they had the dreaded Look creak. Went Dura Ace and while heavier. No creak and the pedal is always in the correct position to clip back in. They also have very smooth bearings. Do you you mean "PITA"? Talked to the owner of Speedplay and he was convincing enough that I'm thinking of switching from Look Ti's. What made you change? Last edited by tabl10s on Sun Apr 14, 2019 3:10 pm, edited 1 time in total. I was thinking of switching over to Look as well and reason for my question. I never had rocking with my speedplays and actually find them secure. Just want try something with a bit more area under foot and simpler system. My issue in past with Look was rocking feel. This may have been improved over the years, but also considering trying a knock off brand of cleat if I do give em a go. Please let us know how you find them. 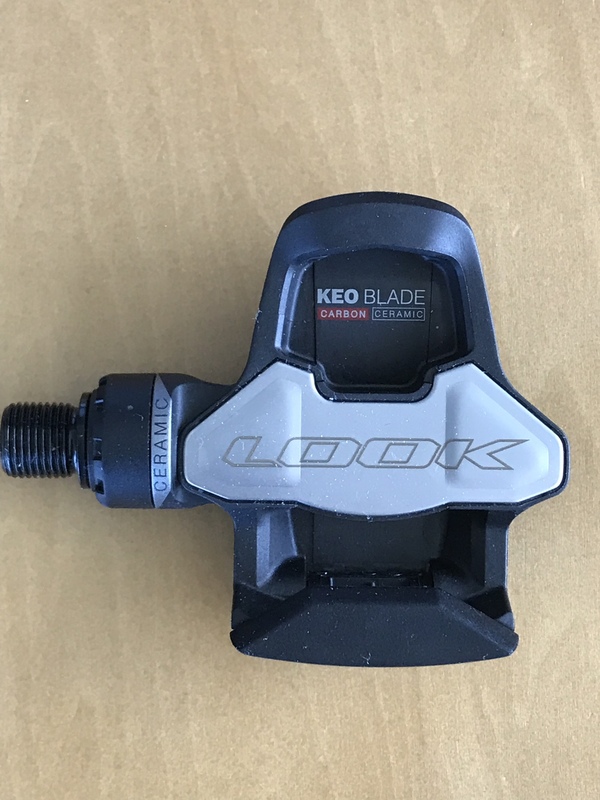 I am a long term Keo user and routinely replace pedals every 1-2 seasons as they wear out. I ride 16-20k km year and find the pedal body wears out at the contact points where the front and rear of the cleat contact the pedal body, the material used simply isn't durable enough. When I say wear out the cleat still remains captive in the pedal but it develops an uncomfortable amount of moment. In fairness this mainly happens on the left pedal which is the one I unclip from when in traffic or at stop sign. tabl10s wrote: Talked to the owner of Speedplay and he was prconvincing enough that I'm thinking of switching from Look Ti's. What made you change? 1. Number of 4-hole shoe options. 2. Constant worry of stepping in soft grass/mud when walking around at the cafe or bio-break. Regarding #1, I have Sidi Wires 4-hole which I love and hate. I have small/somewhat wide feet and I had to size up as Sidi’s are known to be tight in the toe box. When I saw that Sidi came out with their Wire 2 in a Speedplay version, I called my LBS and after some digging they told me that Sidi is discontinuing their Speedplay specific shoes. The cost of getting a pair of Sidi Wire 2 4-hole would’ve been over $550CAD because the Canadian distributor didn’t have any in inventory and would be a one-off order (i.e. no discount). Really, it’s not about the cost but the fact that my options on 4-hole specific shoes is diminishing. It’s not the easiest to find a LBS that carries brands (in Toronto, Canada) that offer a 4-hole specific model so I can try them on - I detest ordering online and having to arrange a return/shipping it back. An option that I was mulling over was to stock up on Wire or Wire 2 but I like new tech (aka ‘toys’) and options in colours - Wires only came in white and Wire 2s come only in matte black. Regarding #2, I hate stopping for a bio-break or coffee and having that feeling of stepping in mud, as trying to clip in is next to impossible! This also triggers my OCD in cleat maintenance lol. The stack height difference wouldn’t normally be a huge concern but I’m expecting my THM 165mm arms for my SRM Origin to come in tomorrow (after THM took their time of 5 months making them) so hence another reason for the bike fit. I’ll post an update once everything is set up and I get a few rides in. Congrats on the switch! Enjoy your new pedals. I was a long-time SP user. Also had a Sidi four-hole shoe to go with it. Then I joined this forum and found that people are very happy with their Dura Ace pedals. Bought new three-hole shoes and made the switch to Dura Ace and I'll never look back. I bought a bunch (like 10) sets of blue cleats for a ridiculously low price of $12.50 per set from the U.K. before Shimano embargoed products being shipped from the EU to the U.S. I was paying almost $40 for new SP cleats. One time I took my Dura Ace pedals apart to regrease them. Upon disassembling it I found the grease and bearings to be in pristine, factory-like condition. The grease is still green in color and translucent, and there's no sign of any containmination. This is after more than 10,000 miles of riding. I quickly put everything back without touching the factory grease. When I had SPs I used a grease gun to regrease them and the old grease would always be black after a few thousand miles. Why would the Shimano grease be green and translucent after 10k miles? That's beyond me I don't plan to crack open my Dura Ace pedals ever again. My wife had Look pedals forever and theye gave her many miles of reliable service. I've never opened them for regreasing. After I bought my Dura Ace pedals I bought her a set as well. Now the only pedal maintenance I do is to replace the cleats. The issues I had with Look Keo carbon titanium pedals is they would never flip up making getting into your pedal PITA. Plus they had the dreaded Look creak. 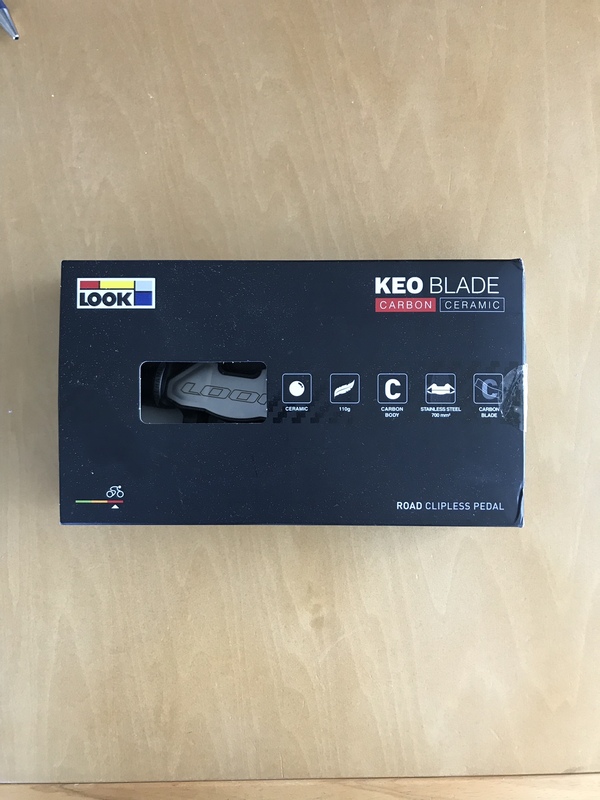 I snapped up the last set of OG Keo Blade Ti I could find. Way better at hanging right than the V2. As to the Look creak, I've always found that a clean pedal with a light smear of chain oil on the contact points does not creak. You might argue that you shouldn't have to oil your pedals to stop them creaking, but since it also frees up the float and makes clipping in and out more consistent I view it as just another small step in the regular bike cleaning and lubing schedule. You should never size up in order to get the correct width of shoe.......for one thing the cleat holes will be in the wrong place. If the shoe is too narrow you need to find a make or model that fits your foot shape. Sizing up between shoe brands and types of shoes is a legitimate and sensible way to get fitted. I can ride a 40 Lake but also 41 Sidi, cleats fit just fine... Why wouldn't I? Also I had the same experience as pdf.. Loved my speedplays for years but got annoyed with the inability to walk on soft surfaces... Great if you only stay in the concrete jungle. Went sideways to Time xpro instead. Allowed me yesterday to tromp around in the sand looking at a GoT exhibit I passed on my ride yesterday! I made the switch from Keo Blades to Speedplay. I'm not so happy with it. corky wrote: You should never size up in order to get the correct width of shoe.......for one thing the cleat holes will be in the wrong place. There is more forward or aft adjustment range on a 4-hole shoe - never had a problem.